So despite some really, REALLY sad news in the last couple of days, hubby and I had a really fun anniversary date. Going out to nice places to eat is something I LOVE to do, but right now it isn't something we get to do often, which means this was even more special for us. 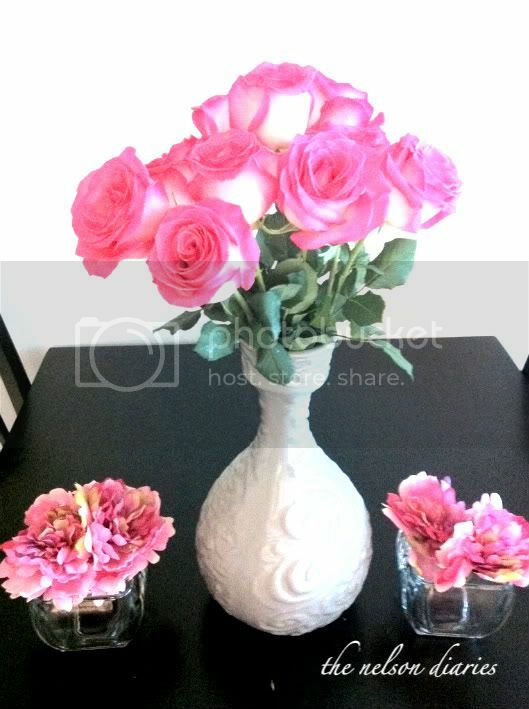 For starters, hubby and I exchanged cards and he brought me home some beautiful pink roses. The food was really good, and we were full before we even got our entree. I mean, seriously. I was sick stuffed. Stuffed Sick. Whatever you want to call it, but I think my husband said it best when leaving the restaurant..."If I was any rounder, I'd be rolling." So, we tried to give it our best stuffed face. It was a really nice night, and a very Happy 2 Year Wedding Anniversary. Anyways, life is super busy and emotional right now. On top of photo sessions, weddings, work, softball, deadlines, lots of deaths in our loved ones lives and the news of my old boss from college taking her own life this past weekend...I'm just physically and emotionally exhausted. I will be back soon though, I promise. 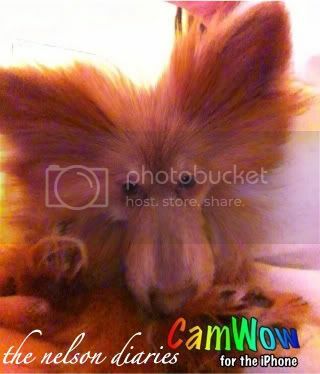 CamWow on Piper = Perfection. so sorry for all your sad news. glad you had a perfect anniversary though! Sorry to hear things aren't going so great right now, but glad you had a good dinner with your hubby! Can I just say, that card was the cutest handmade card I think I've ever seen. Love in love you two are. Your anniversary dinner sounds like it was really good. Congrats to you two. :) But, I'm so sorry that you have had some horrible news lately! Sounds like you guys enjoyed your date night, though! Happy anniversary! aw love. so sorry to hear about all of the loss and sadness that goes with it. i am sending tons of hugs and love your way. I'm sorry that you guys have been dealing with such sad news! Sorry to hear of so much sadness right now! 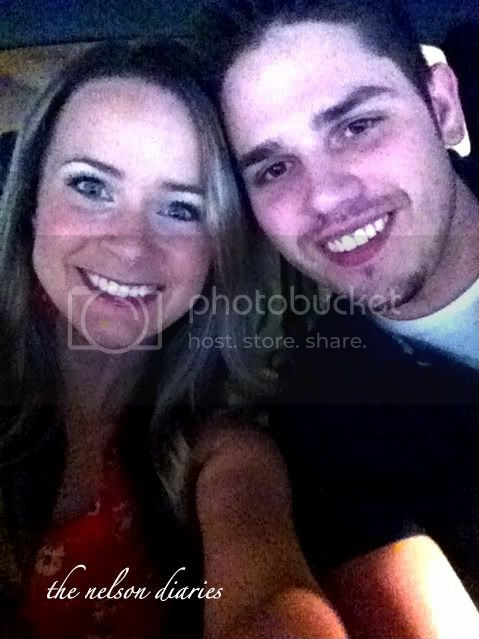 Glad you guys were able to still enjoy each a nice night out for your Anniversary! wow suicide is such an icredibly sad and scary thing... that made me tear up a bit. 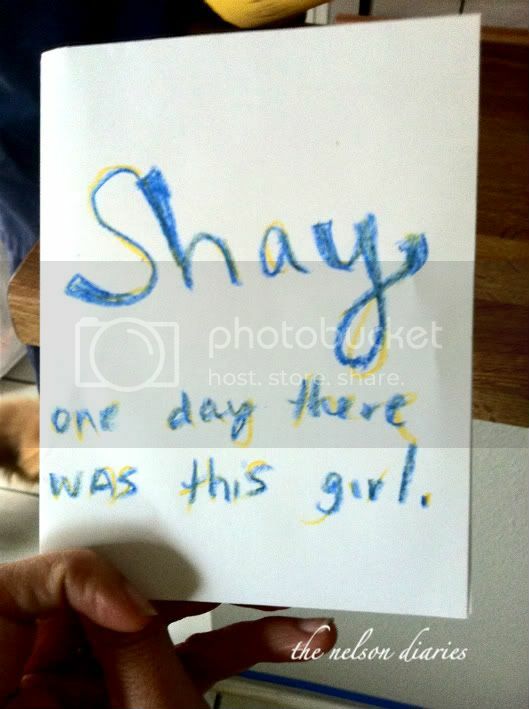 But I like to focus on happy things so let me just say, Hubby gets so major points for writing a card in crayon. I'm sorry to hear the sad news. My thoughts are with you and your family. The pictures sure did make me smile though! I have that app. and never thought of pointing at my chihuahuas. Hmm...or Lucy - I'll have to check that out! So sorry to hear about the loses you have dealt with. Glad your anniversary could bring some sunshine into your life though! Blessed are those who mourn, for they will be comforted. So very sorry. On a happy note...Maggiano's IS amazing! Yes, it's true. Easy to get full before the main course! 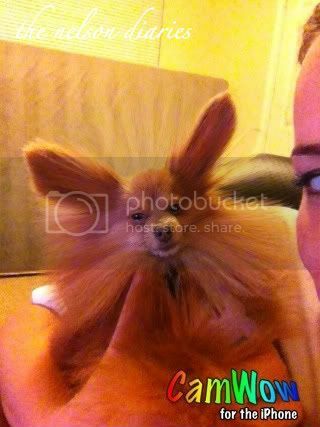 And...I'm glad that's not what your dog really looks like. That would be kind of scary! Lol. P.S. Handmade cards are the best. I love it when my husband does that and draws pictures for me. Happy 2nd Anniversary! 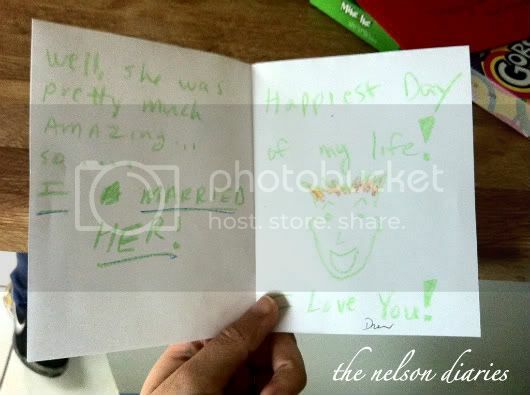 i love that handmade card! it is soo cute and i love what is said inside, thanks for sharing! the picture of Piper is hilarious! i laughed out loud! p.s. 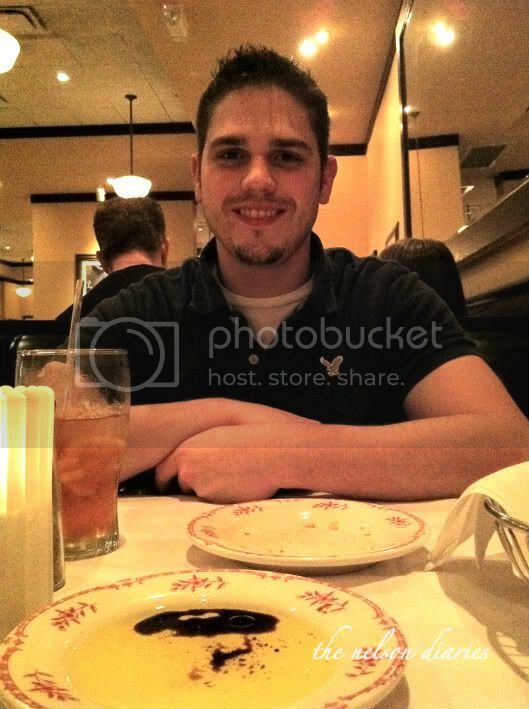 looked like a great dinner ... you are beautiful ... happy 2 year anniversary!! First, that last picture of the two of you is adorable. THAT'S the way relationships should look - sublimely happy to be with each other. And your puppies ... love them. Sweet memories of little Roxy bear. 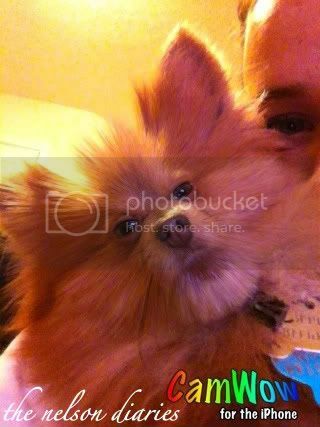 Lordy Lordy your pups pictures cracked me up! 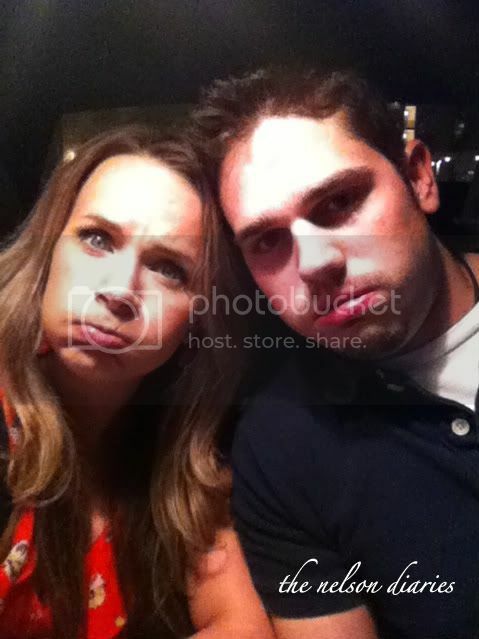 Adorable pics of yall two. happy anniversary! Im hosting an Easter Swap! You should come and join in on the fun! Sorry to hear some things are going badly for you. But those are the most gorgeous flowers I have ever seen! Happy anni! Looks like y'all had a wonderful anniversary! 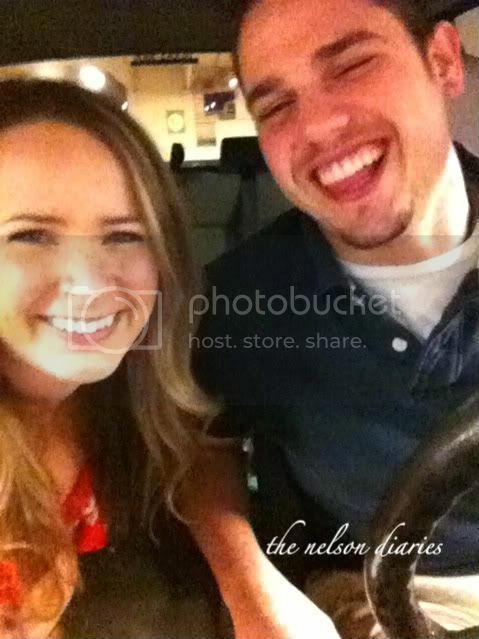 I am glad you were able to enjoy your date girl, love the photos! p.s. doesn't make me feel good that you said you are still potty training your dogs! Ugh, I hope I can get this little baby trained soon!